Tuesday marked the start of ESPN’s 2017 V Week. During the fundraiser for cancer research, The Undefeated will tell stories about early detection, clinical trial studies and research in minority communities. 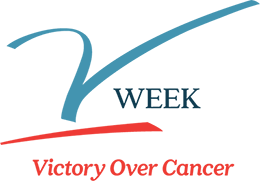 ESPN hopes to raise funds and awareness about the important cause championed by our friend, coach Jim Valvano. One hundred percent of all cash donations go directly to cancer research. Donate here today. Sydni Scott has committed to Columbia University. The 17-year-old track and field athlete will be joining her sister, Taelor. The Scott siblings won’t be roommates, but Taelor, soon entering her third year at Columbia, said she can come to her apartment whenever she wants. The two continue to share a close bond, which was rocked to the core of their hearts when they lost their father, Stuart Scott, to appendiceal cancer on Jan. 4, 2015. And they stand by the sage advice they learned from their father. Catching up with Sydni and Taelor Scott and hearing of their lives while living in the shadow of their late father has been surreal, but his love, tenderness and effervescent zest for life was instilled in his daughters, and they are continuing to carry his torch. Taelor will be part of the graduating class of 2019 and will be shooting a short film in Chicago over the summer. Stuart Scott was a passionate voice for improving outcomes for African-Americans and other minorities with cancer. The V Foundation and family members representing Stuart Scott have formed the Stuart Scott Memorial Cancer Research Fund, a movement that allocates dollars to minority researchers to fight cancer in minority communities. The funds help continue Scott’s fight against cancer and assist some of the most vulnerable and disproportionately affected communities battling the disease. Near the end of his life, Stuart Scott participated in a clinical trial study, an act that was very dear to his heart. Socially disadvantaged and racial/ethnic minority groups have been historically underrepresented in clinical research. Lack of African-American participation in clinical trials stems from distrust historically, as far back as the 1800s and most notably with the Tuskegee Syphilis Study (1932-72). Earlier this year, the story of medical phenomenon Henrietta Lacks and her stolen HeLa cells was made into a movie. The convoluted history of medical experimentation on black Americans in the United States, along with many other structural factors, plays a huge part in the lack of participation by the black community. But Scott believed attitudes, beliefs and perceptions can change the thought pattern. His daughters agree with that sentiment. Sydni thinks it’s important to recognize what the face of cancer looks like. 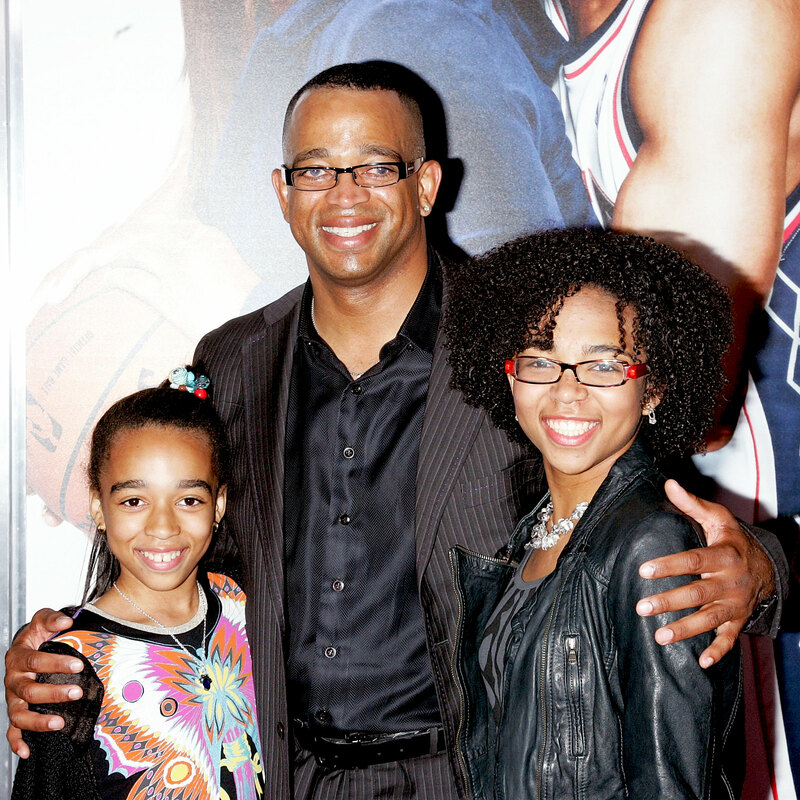 Stuart Scott (C) with Taelor and Sydni Scott attend the premiere of Just Wright at Ziegfeld Theatre on May 4, 2010 in New York City. How do you feel about now being the face of Stuart Scott’s legacy? Taelor: I really feel like there’s no point in a spotlight if you’re not going to do anything meaningful with it. I don’t believe in just like spotlight for the sake of the spotlight, or attention for the sake of attention, which is kind of why I’m glad that we could turn this into something, because otherwise I think it’s a bit useless or pointless. Sydni: I think that, for me, it was something that was initially hard to fully engage with it at that time because it did sort of impact our ability to grieve because all of our responsibilities. And not just responsibilities but all of our opportunities as well were coming so quickly after he died that it was a strange experience to be in this very emotional place and to also be sort of representing him and be so suddenly on this platform, and to have these connections with people who cared so much and are so passionate about this work. But to be feeling that while we were sort of working on finding ourselves after that loss, I say that in the beginning it was definitely something that was really, really hard for me. And of course I did appreciate it, but I think that, you know, it could be frustrating at times to feel like I sort of had to represent this larger-than-life personality that he was, when I was still reeling from that loss. I think that what’s been really special over the past three years is the ability to have sort of feel like I am coming into my own in this position. What’s the best piece of advice that your dad ever gave you? Sydni: I think that the best piece of advice that he gave me wasn’t necessarily something that he ever said at a specific time, but it was something that he communicated to me through his actions and through the way that he treated me. And I’d say that it’s something that I have been sort of grappling with over the past couple of years. And that it is to never betray my convictions in favor of what is more, I guess, socially acceptable. I think that was what I saw him pursue wholeheartedly, was just a complete and total refusal to change himself in favor of what people would prefer him to be. And I think that you know he always chose to be respected. And I think that is a message that has been really important to me in my life right now. What’s been the hardest part of this journey thus far? Taelor: I think that so many things have happened in the last three years that I just wish that I could share with him. There are so many musicians — we used to share a lot of music — that I wish that I could listen to with him. There are so many things that have happened that I wish I could tell him about and hear his opinions about. So it’s this very isolating feeling of A, loneliness, and B, you know I won’t know what he thought, and that kind of drives me crazy sometimes. Sydni: I agree. I think it’s similar for me. I remember because I started running track my freshman year, and so I started in probably March of 2015. And I remember my freshman year I won the championship for the long jump. And I remember I came home from that meet and my mom and I, we sat on the kitchen floor and I remember I’d been upset and I just said, ‘He would have been so proud of me.’ And I could almost feel … not hear it in my head, but almost just sort of feel exactly what he would have said, and how he would have reacted and all of that excitement that he would have. … He would have had his most giddy personality. I remember when I was little we would go out in the backyard and we would practice handoffs. We’d use a stick as a baton, because he’d run track for a little while in high school. There are all of these things that I’ve done in my life and all of these things that I will do, and to know that he won’t see any of them is really hard and has been really hard. It’s really hard to know that I committed to my dream school and he never even saw me jump. He never saw me. And what would you want to tell families and children that are in your shoes? What message would you like to give to them? Taelor: It’s only been three years. Someone gave me some advice, and they said, ‘You will start to feel better in 1,000 days.’ So I kind of waited for the 1,000-day mark. And I don’t know if I felt better, but I realized that a new life had started. It marked the end of my childhood, so I realized by the end of that 1,000 days I … you know I didn’t … I don’t know how I felt, but I definitely had started again, where I had stopped kind of living before. I had started living in different ways. Sydni: I think that I would say that the advice that I would give is to find people that care about you genuinely, whether that be friends or family or teachers. You know you have to acknowledge the fact that there are going to be times when it feels like there are no options going forward, when it feels like there is absolutely nothing left for you and that there is no way for you to proceed. And I think that in all of the friendships that you have that are great and wonderful, having just a couple that are genuine enough that you can share maybe not all of the details of what you’re feeling, but at least just where you are and how you feel. To have just someone that you can turn to so that you don’t feel alone in your hopelessness, because I think it’s one thing to feel hopeless and to feel alone and it’s another thing to feel hopeless and to have support. More funding means more research. More research means more lives saved. Join us in our campaign to raise $200 million by 2020 and donate today. You can contribute by visiting this link: www.jimmyv.org/stuartscott.